Launch services have been extremely popular over the last two years and for good reason, they work. 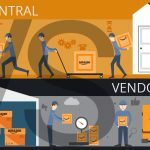 If you have used a launch service or are considering using a launch service to help boost sales and reviews of your Amazon product there are some things you need to know so you can understand the risks and rewards. Launch services work by offering products at a large discount in order to get “honest” reviews. You’ll see reviews on products saying something like, “I purchased this product at a discounted price in exchange for an honest review”. You can set the amount of products you want to give away and a percentage of those buyers will leave a review. By selling your products (even though its discounted) you get an increase in BSR (Best Sellers Rank) which is directly related to your organic search rankings. Boosting this ranking will bump your organic sales. 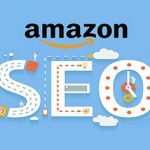 Getting reviews to your product will also help your rankings as it is fairly evident that is a part of Amazon’s ranking algorithm. 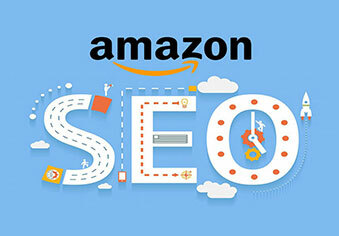 Having reviews is very important for increasing your conversion rate which is also part of Amazon’s organic search ranking algorithm. Using a launch service to get reviews to a new product is incredibly effective and a great way to set the sentiment of the product (people see lots of positive reviews and they tend to think positively of it as well). Selling lots of products allows you to boost your seller feedback which is also an important part of Amazon’s ranking algorithm. Having good metrics in fulfillment and customer service will let Amazon trust you more and won’t throttle your sales (especially if you’re a new seller). This is slightly less important if you’re selling FBA. First and foremost, Amazon’s TOS says manipulating their Best Sellers Rank is bad and can be punishable. Interpreting that can be tricky, however. If you’re using PPC within Amazon to boost sales and get your BSR/rankings up then you’re manipulating Best Sellers Rank but in a way that Amazon makes available to you. You could easily make an argument you’re giving away products not to manipulate salesrank but to increase feedback and gauge your product’s viability in the market. Regardless, you’re opening yourself to Amazon interpreting what you’re doing and they aren’t the best for siding with sellers. Another risk of using a launch service is the devaluation of reviews from discounted purchases. There have been rumblings from Amazon regarding the devaluation (and possibly removal or flagging of) reviews that were left after a discounted purchase. Before investing thousands of dollars into a launch service, you should consider the long-term viability and sustainability of the reviews. After using a launch service you might notice a new seller on your listing. This happens pretty frequently. There are tons of sellers using the deals that launch services advertise in order to make some quick cash. They’ll purchase your discounted product and sell it on amazon for less than you. This can be harmful in brand degradation, customer service, and price dilution. Before using a launch service to boost sales and reviews for your product you need to consider if its the right strategy to implement. Another consideration is the amount of product launches you do. It’s much better to do fewer launches with more products sold than to do more launches with fewer products sold each time. 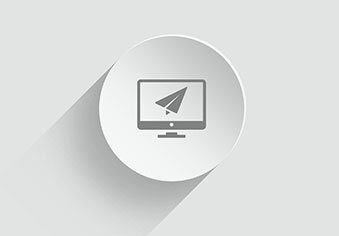 From our experience, launch services are best utilized by new brands with new products. Established brands with new products should definitely think hard before employing a launch service to bump sales and reviews. To mitigate some risk, a seller might create two product listing pages and use a launch service on one and market the other listing separately. You can always combine the listings later if you’re seeing some sustained growth and want to capitalize on the BSR and review count. People who sell goods on Amazon oftentimes find themselves wondering how to make their product stand out. This is because an increasing number of products are being sold on Amazon every year, making the competition and clutter also increased. According to a recent CNN article, "Prime members already get free shipping on all eligible orders with no minimum required, but without the holiday promotion, non-Prime shoppers must spend at least $25 to land free shipping." [caption id="" align="alignright"
We discussed all kinds of Amazon related topics. There is lots of good information regarding starting on Amazon, marketing and PPC, as well as general digital marketing. sharing facts, that’s really good, keep up writing. So your account got moved from Vendor Central to Seller Central? What does that really mean for your sales? 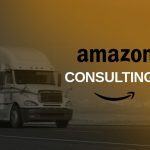 We're the oldest Amazon optimization consultants online. We've been helping sellers rank better and sell more products on Amazon for over 10 years. Copyright 2019 Amazon SEO Experts. Powered by WordPress! !